The Alesis DM10 X Mesh Kit provides a complete and professional drum package. This kit includes ten different pieces to help you reach your peak performance. One of the best features of this drum set is the mesh drum heads, which enable buyers to adjust the drums to their desired response level. The drums also boast excellent articulation. This kit comes complete with all the pieces you will need in order to start playing immediately. More specifically, there are ten different pieces included in the Alesis DM10 X Mesh Kit. There is a four-piece cymbal set (with crashes, hi-hat, and triple-zone ride) and a six-piece mesh kit. In addition, there is a chrome rack, a RealHat pedal, cable snake, drum sticks, module mount, snare stand, user manual and a kick start guide. The only additional piece you may want to purchase is a kick pedal to complete your kit. Overall, the Alesis DM10 X Mesh Kitis an ideal choice to more advanced users. This option is especially useful if you have special technical skills, which will be needed to set up the set and adjust the kit to your own preferences. However, if you lack these technical skills, then you may wish to choose another set. This drum set appeals to many users given that it permits players to adjust the settings to their own unique preferences and style. Additionally, it has a wide variety of sound choices. It also includes many special features, such as assistance to help you improve your playing ability and the option to record yourself. However, the set does have a few drawbacks. The main drawback is that the set is not durable. Given that the set is towards the higher end of the price point for drum sets, this can be very disappointing to users who have their drum set fail soon after purchase. In addition, there is poor customer support if you do run into issues with setting up or maintaining your set. Before deciding if this drum set is the best match for your needs, it can be helpful to think about what you want to get out of your set. For example, this drum set is best suited for advanced or professional players who wish to customize their playing skills. If you are a beginning player, you may wish to consider the The Alesis Nitro Kit Electronic Drum Set. The Alesis Nitro Kit Electronic Drum Set is ideal for new drummers as it has a much lower starting price and includes everything you need to get started. Although it has fewer built-in tracks, it does include a rack for stability and all pads, just like the Alesis DM10 X Mesh Kit. However, since the brand is the same, you may run into customer support issues with either of these options. 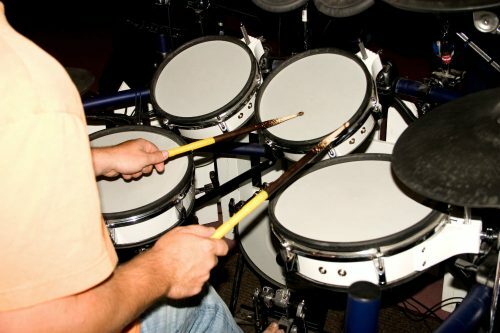 A second good option is the Roland TD-11K-S V-Compact Series Electronic Drum set. This drum set is also one of the more expensive options. It includes everything you need to get started and can be used by beginning to professional players. There are coaching functions to improve playing performance and the option to back up your data. Similar to the Alesis DM10 X Mesh Kit, there is also a large sound library. However, some of the components may lack the sensitivity that more expert player’s desire. The Alesis DM10 X Mesh Kit is best suited for users who have technical skills. This is because it can be difficult to either set up the system or adjust it to your desired level of settings. In addition, a lack or durability has been reported. However, this kit will include everything you need to get started or continue playing at your peak. Many special features, such as a play along, sequencer, mixer, and data backup options keep many drummers happily playing along on this set. 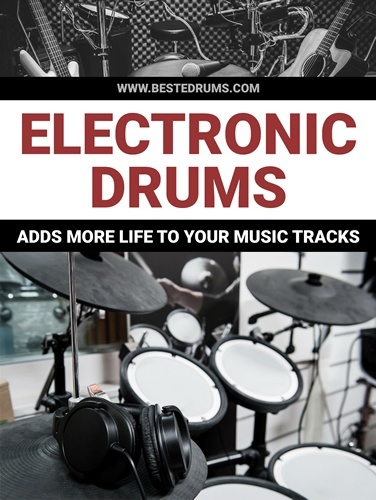 There are similar kits available at lower price points, so one factor you will certainly want to consider is the price you want to pay for a drum set.